A former police officer believes drug gangs may have stolen expensive lights from his new car - to grow cannabis. Ian Moore, of Morley, woke up to discover the rear light clusters missing from his eight-month-old £55,000 Land Rover Discovery. 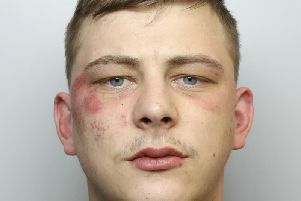 It follows a series of similar incidents across West Yorkshire which has led police to setting up a special task force to tackle the problem. Police officially say the problem is linked to the trade in stolen parts. But Mr Moore, 54, said he was told by investigating officers the powerful lights had another use. “They told me they are a prime target for cannabis growers,” he said. The incident happened overnight on January 12. Mr Moore has had to pay £400 to replace the lights. Det Chief Insp Dave McDougal, of Leeds neighbourhood operations, said the trade in stolen parts was believed to be behind the majority of thefts.